So, yea beverages are HOT. But I chose to do cold! Like I said, smoothies are good all year round. You can find wonderful frozen fruit at the grocery or use winter fruits like oranges, apples, persimmons, etc. For veggies, which must always be included I like to add frozen cucumber, raw beets, and of course greens! You can use spinach, dark beautiful kale, chard, etc. 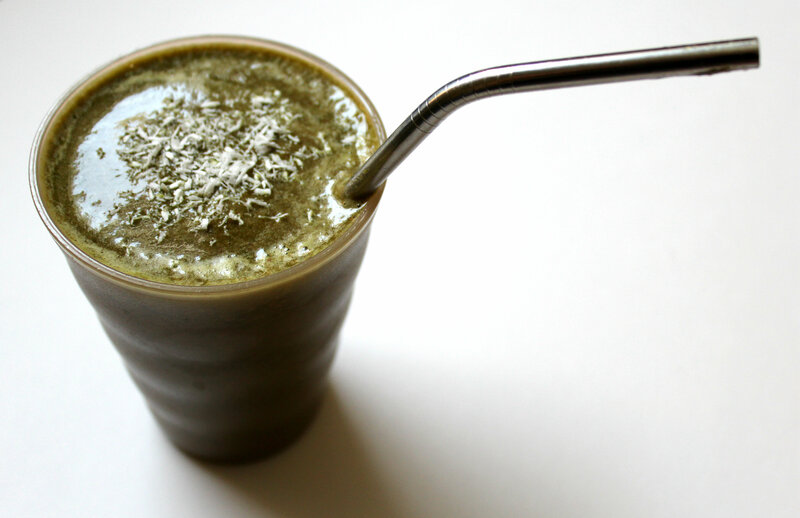 You can also freeze you greens in baggies and give your smoothie even more frozen creaminess! Then I always have my add-ins like protein power, cocoa powder, cinnamon, extracts, super-foods, what have you. + In a blender, add the strawberries, cucumber, greens, coconut, extract, protein, and water. Blend Blend Blend. + Pour and top with additional coconut. Serve and enjoy! Check out all the other ReDux members awesome beverages in the link below! We got a good mix of hot and cold, so you have some choices! What is your favorite smoothie add-in? I just received some Amazing Grass and Spirulina from two different giveaways and I can’t wait to try them out in my smoothies! As a smoothie lover, this strawberry refresher sounds refreshing and delightful! I can’t wait to try this combination of ingredients–especially with chocolate! I must say that I have not been including chocolate in my smoothies. Maybe it is time for me to shake things up a bit and add some! Thank you so much for sharing this healthy and delicious recipe on the Healthy, Happy, Green & Natural Blog Hop! I appreciate it! I think it adds such a fresh clean taste! I have choosen your post for one of the featured post of the week for Real Food Fridays. Please continue to share your great recipes with us. thanks so much. 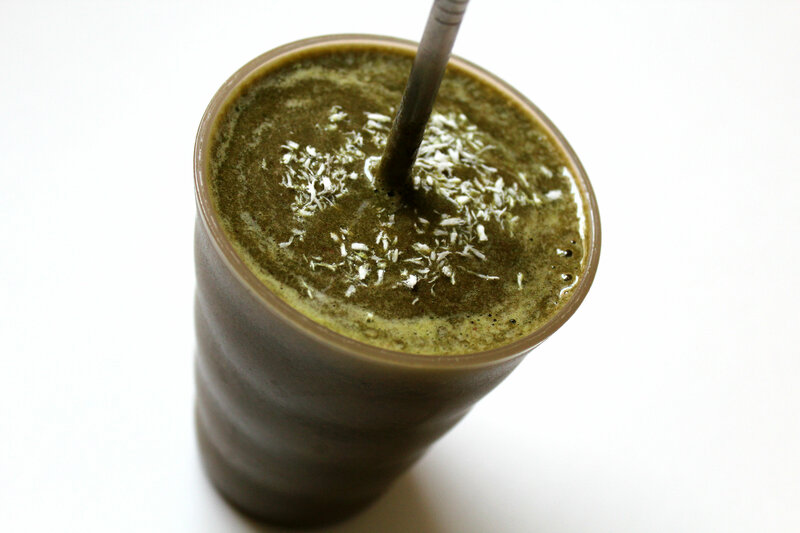 This looks really nutrient-dense! Do you freeze your own cucumber or purchase it frozen somewhere? Also, what exactly is coconut extract? I don’t think I’ve ever used that before. 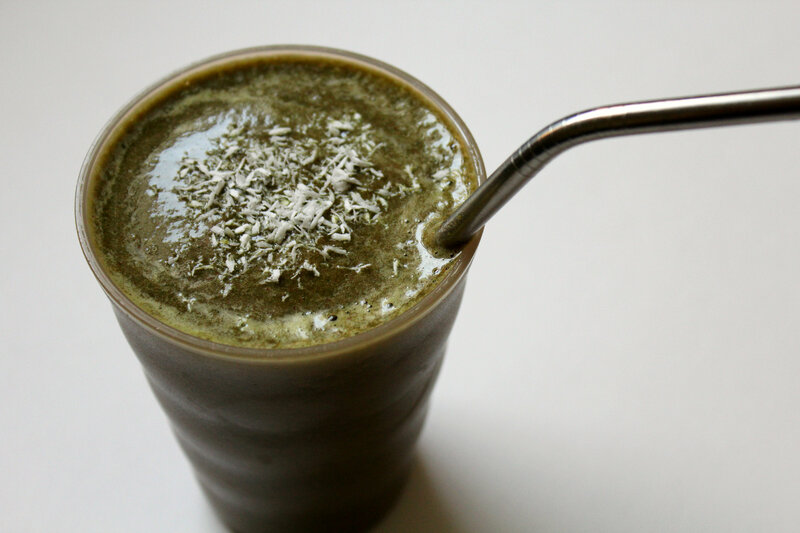 Does it give the smoothie a really strong coconut flavor? I just cut up a cucumber and freeze it. I but my coconut extract from Frontier Naturals (just search it online and buy it through Vitacost.com). It will only be strong if you use a lot, just like vanilla extract, etc. very healthy recipe. i love smoothies – they are simple and a whole meal in one. Thanks for sharing Real Food Friday. Have a wonderful healthy day! 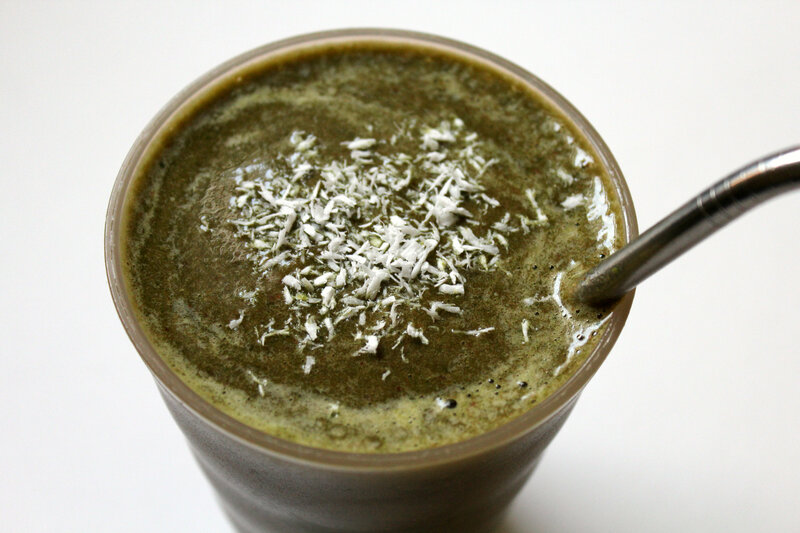 It’s been a super cold winter here in Chicago but I am still loving my green smoothies! I need to try putting cucumber in them! Cucumber is awesome! It makes it so creamy and refreshing! I love smoothies/protein shakes but I tend to only do them in the summer. I have more time to make them then and also fruit is cheaper in the summer- where I live, anyway! If you have trouble getting fruit, just freeze huge batches during at the end of the summer for the coming months! I’m allergic to all coconut products, but that smoothie sounds great! It was a fun #RecipeRedux challenge! 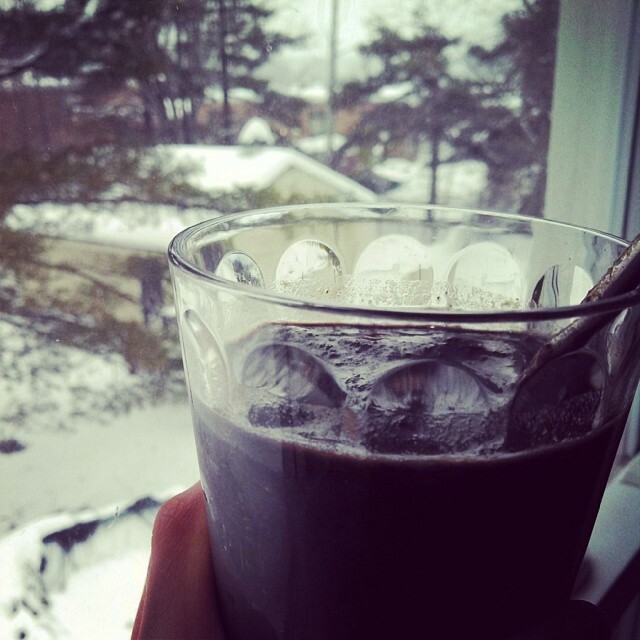 In spite of the fact that at me behind a window it isn’t so cold, I didn’t do smoothie already very long. I think, I should be wrapped in a plaid and to dress warm socks what to try them!